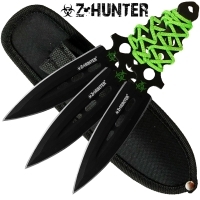 Get ready for the Zombie Apocalypse!! 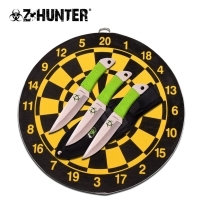 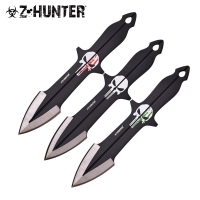 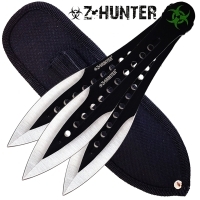 The Z-hunter line offers a fully functional yet collectible line of fixed blade knives, pocket knives, axes, machetes, throwing knives, swords. 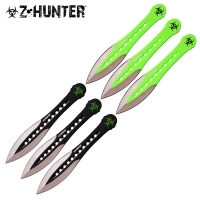 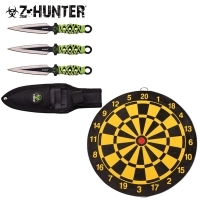 All Z-hunter gear is decked out in Zombie Green and Black ready to serve you when the walking dead come to life!